Would it be to soon to say that after the sunny Bank Holiday, Winter is well and truly behind us?! Fingers crossed as the team here were definitely starting to get ‘cabin fever’ being stuck in with the rain pounding on the windows! There is lots to update you on in this Newsletter, so let’s crack on! We have been busy working behind the scenes to make Liferaft bigger, better and offer you more in the way of support. if you or a loved one have a long-term disability or if you just need somewhere to keep all your information together in one central place, Liferaft is like having a digital personal assistant! You can now message someone directly from within your Liferaft account to aid communication between everyone in your care circle. Receive email notifications of upcoming events and you choose if you want these immediately, daily, weekly. There is a new selection screen to easily jump to the account of someone you are caring for or someone who is sharing information with you. Now is a great time to log in to Liferaft and take a look. If you don’t already have an account, all new accounts get a 30 day FREE no obligation trial of the full Premium Account. Once you get started, entering information can become addictive and the more you add, the greater the benefits to you. This Getting Started Guide will help get you started! 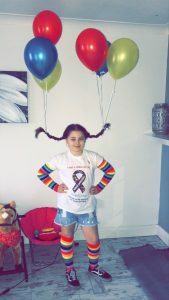 As part of Autism Awareness Week in March, we stumbled across an amazing story about a young fundraiser and her autistic uncle. We were so touched and moved by their story, that we wanted to find out more and share it with you! To read more about Lola and Frankie, click here to read our blog. Having a Liferaft Premium Account can help you with completing elements of the DLA form, keep track of your medication, fill in your Hospital Passport and share your information online with your care circle. If you would like more information about Liferaft and how it can help you, please click here. You are probably aware from several of the emails in your inbox over recent weeks that the laws around data protection are changing and that the way that companies communicate via email is changing. We want to ensure that you are happy for us to continue to sending you Newsletters and as a result, we shall be sending you an email in the next week asking your permission for us to continue to keep in contact. Monday 14 May kicks off a week of activities raising awareness and much needed research funds for epilepsy. 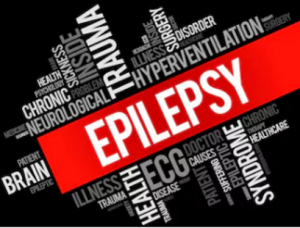 With 87 people being diagnosed with epilepsy every day, it is so important that we understand how we can support friends and family as well as how we can become involved in raising awareness. To find out more, read our blog. We always love hearing from our users whether it is with feedback or suggestions for new features. To contact the team, click here.